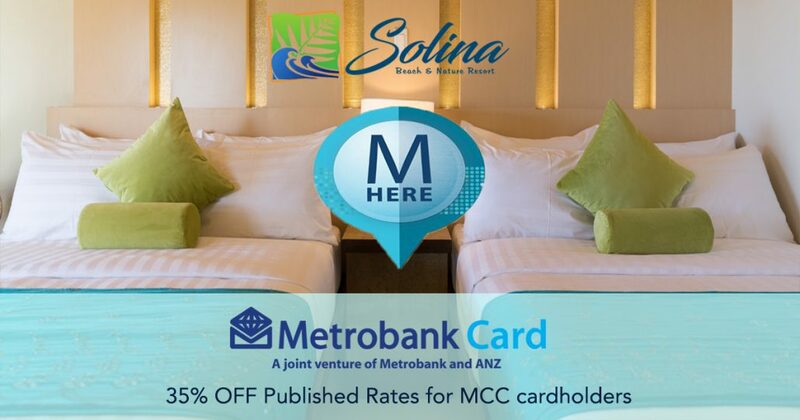 Discover these exclusive deals from Solina Beach Resort. 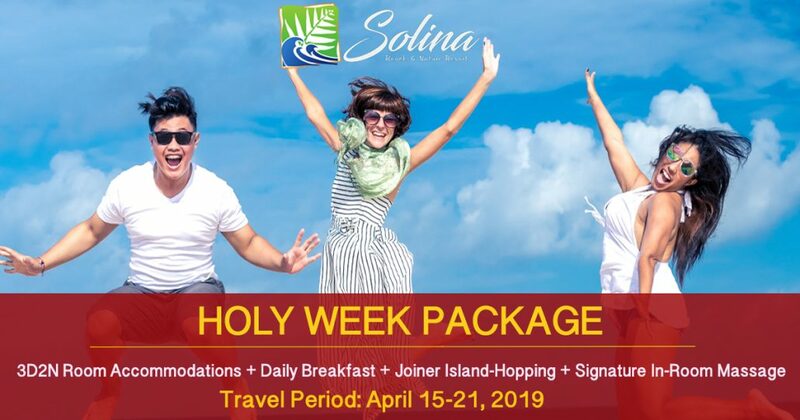 Take advantage of these offers and make your vacation the best you can ever have. 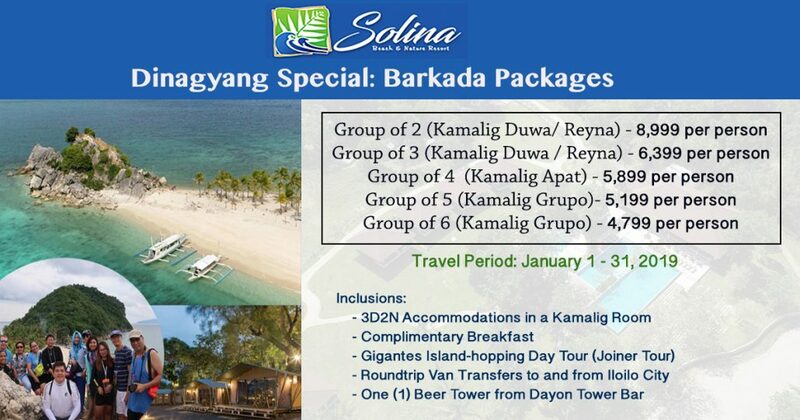 and get amazing group rates! Take this time to rest and rejuvenate at our Carles, Iloilo beach resort! The one-time complimentary spa service must be scheduled with the Reservations Team at least 5 days before arrival date.